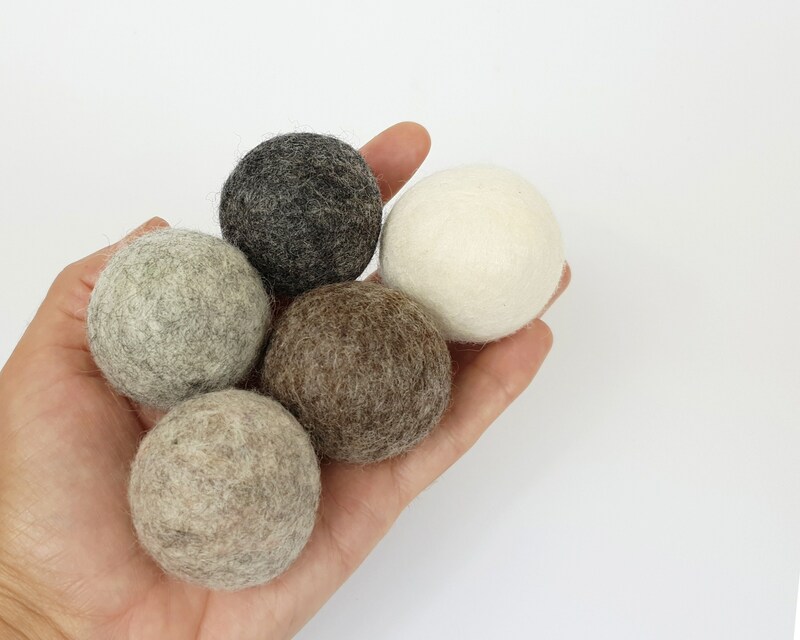 Pack of 5 Natural coloured Wool Felt 4cm Cat Toys. 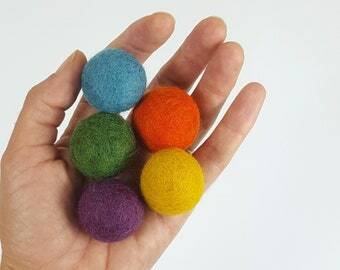 Your Cat or small Dog will love to chase, catch and roll these Felt Balls. 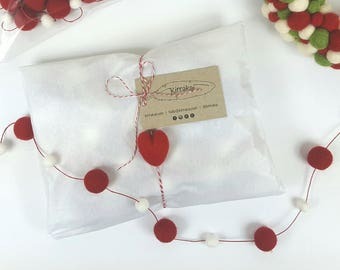 Comes ready to gift in a cotton drawstring bag. Each Cat Toy is made by hand from pure Wool felted using wet felting technique, these balls are tough and can take quite a beating! Choose from the lovely natural woolly scent or Catnip scent for the herb addicts. Wool is durable and naturally dirt and water repellent. A quick wipe over with a damp cloth should take care of most marks/dirt. For a more thorough clean, hand wash in warm (not hot) water and then squeeze the excess water and leave to dry on a cloth or towel. Good as new and ready for play!